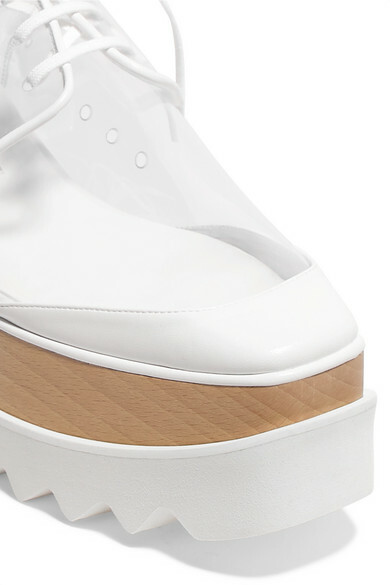 Stella McCartney updates its signature 'Elyse' brogues in this season's transparent PU - it's perfect for creating the illusion of longer legs and kinder to the environment than traditional PVC. 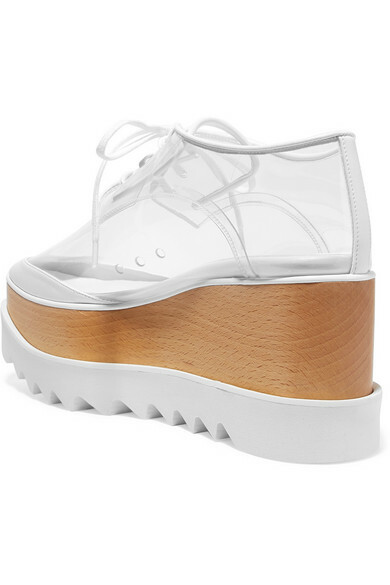 Trimmed with white faux leather, they're set on a wooden platform wedge with a serrated rubber sole. 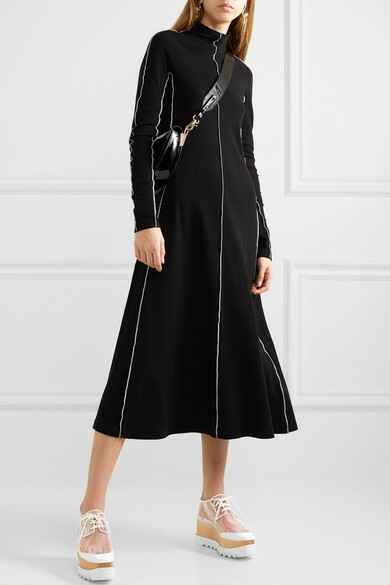 Wear yours with midi dresses and tailored pants alike.